Serving up locally curated dishes, handcrafted cocktails and mountain views. At Capella on 9, we let the best of Asheville serve as both our backdrop and culinary inspiration, pairing locally sourced ingredients with head-turning mountain views. Through our tapas-style menu, handcrafted cocktails and an affinity for live music, we encourage guests to slow down, let the time pass, and savor the moment, the food and the scenery. You provide the guest list. We'll supply the mountain views. We love a good party, and our sales and catering team can't wait to help make your next soiree or corporate event a first-class affair to remember. 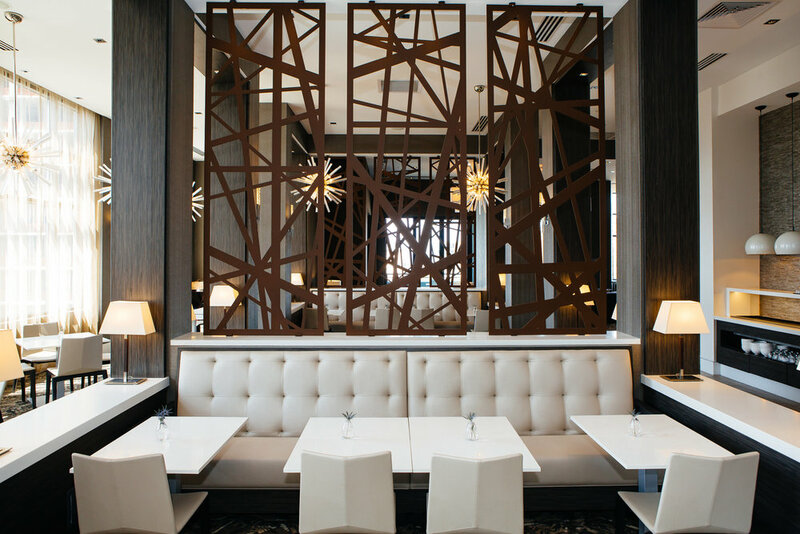 Whether you're hosting a rehearsal dinner, post-wedding brunch or your annual office celebration, AC Hotel & Capella on 9 has everything you need to create an experience guests won't forget. Capella on 9 does not accept reservations; however, to learn more about our meeting and private event spaces, menu options, holiday menu options and group accommodations, shoot us an email at events@capellaon9.com or give us a call at 828-258-2522. Located in the heart of downtown, Capella on 9 sits atop the AC Hotel Asheville Downtown. Leave your worries on the ground floor and experience the best of Asheville with us. Enter your name and email address to keep up with new menu items, specials, live music schedule and more.